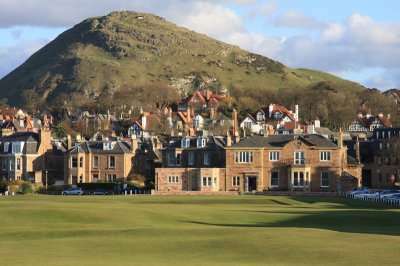 An increasing amount of people are choosing to stay and play their favourite sport in the United Kingdom due to the sheer quality of the golf courses on offer, combined with some fantastic hotels at excellent value. If you are lucky enough to experience good weather, there is nowhere else to be to play an unforgettable round of golf. Conveniently for those not a big fan of flying or travelling with their golf clubs, England, Wales, Northern Ireland and Scotland are home to a variety of world-renowned golf courses and fantastic hotels able to suit any golfer whatever their budget is. For a fantastic weekend away or golf break in the UK, there are plenty of options to create your own bespoke golf package. Here at Golf Escapes we appreciate that everyone has their own preferences to make their upcoming golf holiday the best one yet, which is why we create bespoke UK golf tours and holidays to suit everyone. For more information, check out our UK Special blog with some inspiring ideas for your next UK golf holiday. 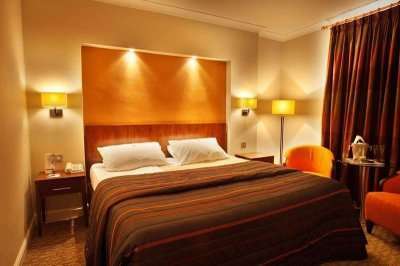 There are a wide range of fantastic golf hotels in the United Kingdon. Pick your favourite accommodation from the options below, or click on View More to see our full range of golf resorts in the United Kingdom. Look through our range of the best golf courses in the United Kingdom below that will be sure to satisfy even the most demanding of golfers.If you have any specific questions about the golf courses you can visit please do get in touch. For a golf break in England you should expect nothing less than a perfect trip, full of quality golf courses and luxury hotels. 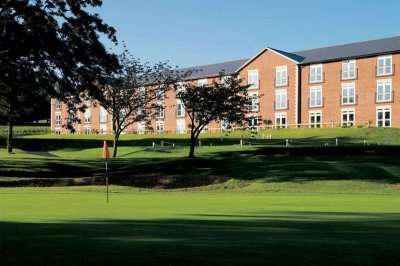 In the West Midlands, you will find the Best Golf Hotel in Europe, the Belfry. This award-winning 4-star golf resort makes the perfect base for your golf holiday in the UK with three world-renowned golf courses just next door; the PGA, the Derby and the famous Brabazon Course. All UK golf & spa resorts offer a fantastic service with a golf course and even a spa on site offering a high quality all round UK golfing break. With so many spectacular golf courses in England, you may not need to venture abroad on your golf travels. Northern Ireland is home to many fantastic cities and towns, perfect for a golf trip in the UK. 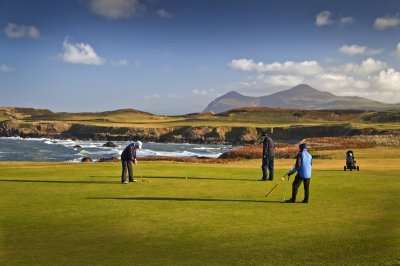 Northern Ireland boasts some of the most beautiful countryside landscapes in the world, and combined with some fantastic golf courses, a rich culture and a range of accommodation options, a golf break in Northern Ireland is a strong contender when considering a golf holiday in the UK. Golf in Wales really came under the spotlight in 2010 when the Ryder Cup was held at the famous Celtic Manor, and since then an increasing amount of people have become aware of what a fantastic golf destination it is. The Montgomerie golf course at Celtic Manor, designed by Ryder Cup captain Colin Montgomerie, is a must-play golf course when on a golf break in Wales. Finally, Scotland, the home of golf, is an obvious destination for an ultimate golfing experience in the UK, with everything from fantastic golf courses to great hotels to create an unforgettable golf holiday in the UK. Golf in Scotland has always held a prestigious reputation, and after a round on the St Andrews golf courses, it will not be difficult to see why. Alternatively, for a luxurious accommodation option, the prestigious Gleneagles Resort offers a five-star stay in the heart of Scotland. Golf in the UK offers luxurious golf on championship courses with numerous luxury golf and spa resorts on offer. The only challenge is which resort to choose! Call our sales team and speak with one of our UK experts who can advise you on your perfect golf break in the UK.